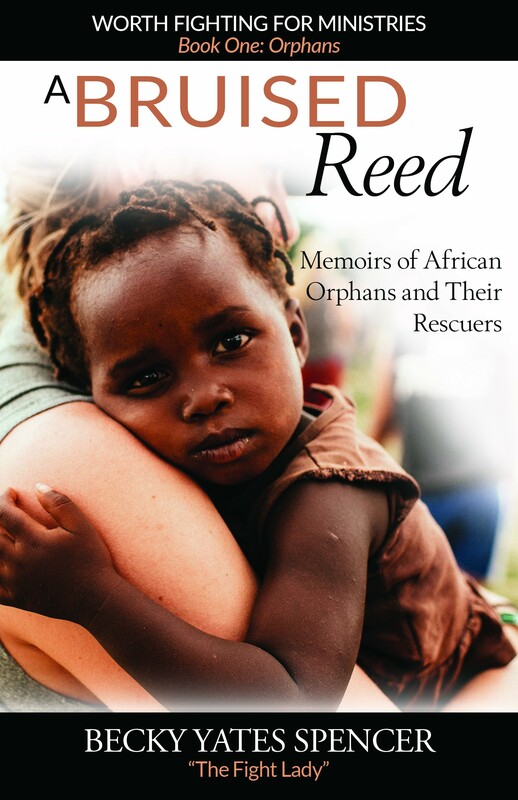 A Bruised Reed will take you into the lives of orphaned, abandoned, and vulnerable children in Swaziland, Africa. But you will be moved past their sorrow, to a place of compassion. Seven-year-old Thabisa’s heart pounded when she heard the key rattle in the lock of the front door. She hurried through the dark one-room house to her little sister, Nomsa, hoping to keep the four-year-old quiet when their dad burst through the door. But she needn’t have worried. Nomsa was limp, too weak to rise from the dirty foam mattress she was lying on. The girls had been out of food for days now, locked inside with no way to beg for help from a neighbor. People had quit listening to their cries a long time ago, avoiding the stench of their waste that permeated the air around their mud and stick dwelling. Thabisa cringed at the sound of her father’s footsteps. Her body went numb at the sound of his belt sliding through the loops of his pants. His abuse was worse than being alone and hungry. He slowly unzipped his pants and reached for Thabisa. She had no energy to fight back, no will to resist him when he called for her to come closer. Didn’t anyone outside the locked door know what was happening to Thabisa and Nomsa? Couldn’t anyone help before he used them again? A Bruised Reed tells the true stories of many children like Thabisa, living in neglect and abuse in Swaziland, Africa. Boys turned onto the streets at six or seven years old, scrounging for food, stealing to stay alive, and evading men who wanted to use them for selfish pleasures. Swaziland's children have been bruised by the AIDS/HIV pandemic, higher in this tiny country than anywhere else in the world. Children have been left abandoned, orphaned, and vulnerable, with no one to care for them. They become susceptible to predators--even those inside the church who want to use the needs of the children as a ticket to collect cash. Becky Spencer has spent the last twelve years of her life serving the children of Swaziland. She's found that the Good Shepherd's staff is grand enough to meet every need . . . but He does that through people--people like you. Together, Becky and those who have joined her have sent over 200 children to school, provided food for the hungriest homesteads, and in the past two years, built the first of twelve care homes for children with no one to watch over them. The new feeding kitchen and preschool will serve children in the village of Sipete. And additional care homes will be added to the site, along with a primary school as funds become available. As you read of the injustices these precious kids have suffered, you'll yearn to fight for them, rescuing them from the clutches of evil that want to completely break them. Their stories had to be told, validating their need to be heard, believed, and rescued. Will you listen--and answer?